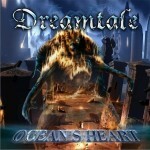 Dreamtale is a Finnish power metal band formed in 1999. 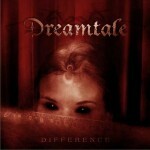 Dreamtale was founded by guitarist Rami Keränen in the early months of 1999. Keränen also served as the band's vocalist until 2002. 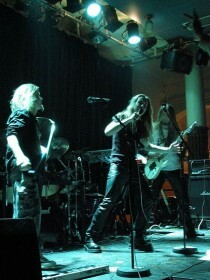 The band first gathered fame by playing asSinergy's supporting act in Finland, and their second demo, Refuge from Reality, sold out on the day of its release. Most of the copies of the demo were sold in Japan, which helped the band make itself known to record labels. 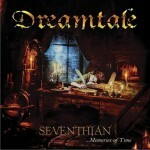 Dreamtale started receiving recording deal offers from around the world, and in August 2001 signed a deal with Spinefarm Records. 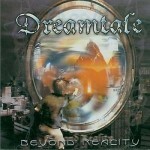 In December 2001, Dreamtale started the recordings of Beyond Reality. 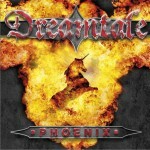 After finishing the album, Dreamtale went through changes in their line-up: Pasi Ristolainen replaced bassistAlois Weimer, and a new singer, Tomi Viiltola, joined the group. Keränen is the sole founding member to remain with the band. Beyond Reality, which was released in Japan in June and elsewhere during July 2002, selling well and gaining the band a following in Japan. To please Japanese fans, the band quickly began recording a second full-length album. Recordings for their second album Ocean's Heart were begun in January 2003 at Fantom studios Finland, where the album was then mixed by Samu Oittinen. Finishing touches were added with Mika Jussila's mastering at Finnvox-studios. Keyboardist Turkka Vuorinen left the band in 2006 and was replaced by Akseli Kaasalainen. In late 2008, bassist Pasi Ristolainen left the band, mainly because of a lack of motivation. Dreamtale has since replaced him with Heikki Ahonen. In 2010, they released samples of songs called Angel Of Light, Reasons Revealed andStrangers' Ode. The 5th album called Epsilon is going to be released in 2011 throughSpinefarm Records. Their new drummer is called Petteri Rosenbom.